This guest house offers free Wi-Fi in an excellent location by Barcelona Port. Hostal Bcn Port is just 100 metres from Las Ramblas and 400 metres from the Gothic Quarter. Paral•lel Metro is a short walk away. 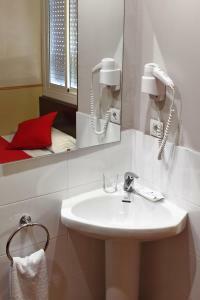 This offers direct access to Plaça Catalunya, Plaça Espanya and the Sagrada Familia. The funicular to Montjuic also leaves from here. The guest house is set opposite the Cruise Terminals, 10 minutes from Barcelona Beach. There are many buses and bicycle lanes nearby. 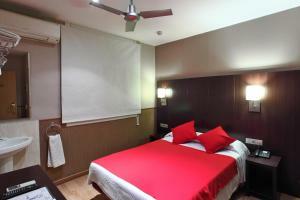 All rooms at the Hostal Bcn Port have a TV, heating and air conditioning. 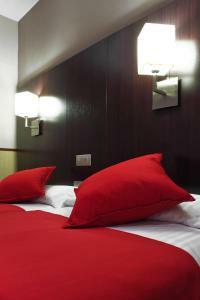 Standard rooms are en suite and economy rooms have a bathroom shared between 2 rooms. There is daily cleaning. Family rooms and rooms for disabled guests are available. This room has free Wi-Fi, a TV, heating and air conditioning. There is also a private bathroom. Rate: € 59.82 ... € 125.57; select dates below to get current rates. This room has free Wi-Fi, a TV, heating and air conditioning. There is access to a shared bathroom. Rate: € 41.10 ... € 116.67; select dates below to get current rates. Rate: € 27.00 ... € 168.30; select dates below to get current rates.